I have been a member of the Department of Library Public Services faculty since 1997. I am a professor and a sicence librarian. I am currenly serving on the WKU Research and Creative Activity Council. A Fulbright student, I received my M.A. (American History) and M.L.S. from Indiana University at Bloomington. I'm responsible for electronic and print searches for the Ogden College of Science & Engineering as well as the Chinese Program and the Asian Studies of the Potter College of Arts and Letters; research instruction, bibliography oversight, and collection development for the departments of the above-mentioned colleges; new course proposal development; and reference and research assistance. I am an author/co-author and editor/co-editor of a dozen or so books. My recent publications are Mastering Modern Chinese through the Classics (Routledge 2018) and Becoming a Dragon: Forty Chinese Proverbs for Lifelong Learning and Classroom Study (Berkshire 2018). The other results of my research activities in the past decade include Tibetan Folktales (ABC-CLIO, 2015), This Is China: The First 5,000 Years (Berkshire, 2010), Celebrate Chinese New Year, Holiday Around the World Series (National Geographic, 2009), Princess Peacock: Tales from the Other Peoples of China (Libraries Unlimited, 2008), The Magic Lotus Lantern and Other Tales from the Han Chinese (Libraries Unlimited, 2006), and Virtual Libraries' Yesterday, Today and Tomorrow (Huayi, Beijing, 2002). I am an associate editor and contributor to the five-volume Berkshire Encyclopedia of China (Berkshire, 2009) and a contributor to Theories and Practices of American Libraries in the Twenty-First Century (Beijing Library Press, 2007) and Encyclopedia of Contemporary Chinese Culture (Routledge, 2004). I have also authored and co-authored over two dozen articles published in mostly peer-reviewed professional and academic journals including College & Research Libraries, Library Administration and Management, Journal of Research in International Education, Internet Librarian, Against the Grain, Technical Services Quarterly, Journal of National Library of China, LIRT News, and Kentucky Libraries. 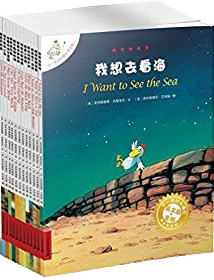 Meanwhile, I have translated a number of Chinese books into English, including the 8-book series on China's top cities in Xinjiang and the 15-book series Different Carmela. My Encyclopedia of Ethnic Groups of China is to be published in 2019 by the Encyclopedia of China Publish House in Beijing, China. Among the awards I have won are the WKU 2012 RCAP Grant as well as the WKU College Awards for Creative Activities or Public Service (2012, 2011, 2008, 2002, 2001), "Think Globally, Act Globally U.S.-China Librarian Collaboration" Grant from IMLS Grant, the 2009 Aesop Accolade Award from the American Folklore Society-Children Folklore Section, the 2010 Storytelling World Resource Honor, the 1999 "Kentucky Libraries" Award, and the 1988-90 Fulbright Scholarship. A life member of the ALA-affiliated Chinese American Librarians Association (CALA) twice member of board directors of CALA. I am also an AP reader and serves as an editor for the peer-reviewed Journal of Research on Chinese Language Teaching. Apart from working with WKU Libraries, I am also a guest professor of the Foreign Languages College of my alma mater Nankai University in Tianjin, China. I was invited by the Ministry of Culture and Tourism of China as a Sinologist to its 2018 Sino-Foreign Literature Publishing and Translation Workshop in Beijing in August 19-24, 2018.